Traffic is the lifeblood of a website. Without traffic, a company isn’t getting new visitors, which means the website is definitely not gaining any new customers. Without traffic, your business situation is stable at best and shrinking at worst. Sometimes, increasing traffic to your website can seem elusive. You try and try, making small and large changes all over your website, and it only nets you a few extra visitors per week. Maybe you have an increase of referrals or an increase of social shares, or maybe you get a little extra organic traffic. Depending on the results, all that effort may not exactly be the most economical use of your time. Getting more traffic to your website means more potential customers seeing what you have to offer, which eventually leads to more sales and better business growth. Be really good at various SEO techniques…like really good. How Do I Find Long-Tail Keywords for My Business? What Are the Elements of Great Content? Gain More Traffic. Grow Your Business. A carryover from the old school days of brand building through magazine and radio ads, advertising online is far more targeted and impactful than its predecessor. The old days of advertising employed what’s known as outbound marketing: Businesses put their name and their message out into the public – through billboards, magazine ads, radio spots, TV commercials, and fliers sent in the mail – in the hopes of catching the right people at the right time. Depending on the advertising method chosen, outbound marketing could cast an incredibly wide net, such as all the radio listeners in a given station’s market or anyone who drove down a particular road. This method led to high advertising spends and very small returns on investment. As publications became more niche and cable TV made it possible to more carefully target people with certain interests, such as sports or home improvement, the targeting of outbound marketing became more focused and improved the ROI on ad spend. 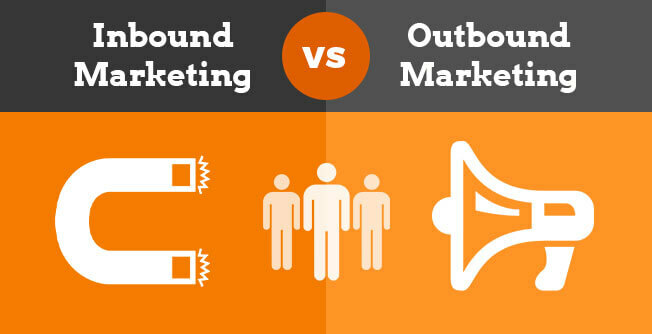 With the advent of the internet, however, inbound marketing became a possibility. Rather than throwing your message out into the world and seeing who you were able to hook, inbound marketing matches people with the correct businesses right when they’re looking for specific information. This allows you to more carefully spend your advertising dollars by focusing on capturing only the people looking for the information you provide. This boosts the ROI of your marketing campaigns, improving your margins and allowing you to squeeze even more marketing out of your budget, bringing in more customers. Paid traffic sounds sketchy, but it’s not. It’s simply that you’re paying money to run a highly targeted, well-optimized ad to reach the right people at the right time, giving you the highest possible chances of making a sale. This is perhaps the most widely used method of advertising online. Google Ads are the sponsored results that show up at the top of the search engine results pages (SERPs) and have “Ad” next to them. These are campaigns run by individual businesses, allowing them to bid on the keywords most important to their business goals. When someone clicks on one of these ads, the business is charged the cost for that click. Google Ads, also known as Pay Per Click ads, work best when you have a highly focused landing page that users view when they click on your ad. However, if you’re just getting started with Google Ads, routing users to one of your services pages or a blog post can work. If you’ve spent any time on Facebook, Twitter, or Instagram, you’ve no doubt seen advertisements on these platforms. These ads, which look exactly like the posts your friends and relatives create, show “Sponsored” under the business’s name in your newsfeed. You don’t have to ever have interacted with a brand to be shown advertisements for a business. This can lead to some mismatched ad targeting, but more often than not the factors that brands use when posting their ads present them to those who are more likely to be interested in their products and services. And yes, the memes that you see about people simply thinking about a product or service only to have ads show up in their Facebook feeds a few days later have some truth to them. Social media ads, but Facebook in particular, utilizes all the data the platform has collected on its users – age, gender, religion, political affiliation, geographic location, occupation, education level, and hobbies and interests, for example – to match the right advertisements with the right people. As long as you’ve got a clear picture of your ideal customer profile, you can make social media advertising work for your business. Just be prepared to spend more money on ads on certain platforms than you may spend on Google Ads. For many businesses, display ads are paired with remarketing campaigns to keep the brand forefront in the potential customers’ minds in the hopes that the repetition will lead to a sale. If you’ve ever visited a website, whether it was to conduct some initial research on a purchase you plan to make or that you clicked on a blog post a friend linked to on Facebook, you may have seen ads for that brand pop up on random websites in the days following your visit. These ads typically cost less per click than Google Ads, and are accessible on the Google Display Ads Network websites. There are more than 2 million sites in the network, so your reach with remarketing display ads is fairly widespread. 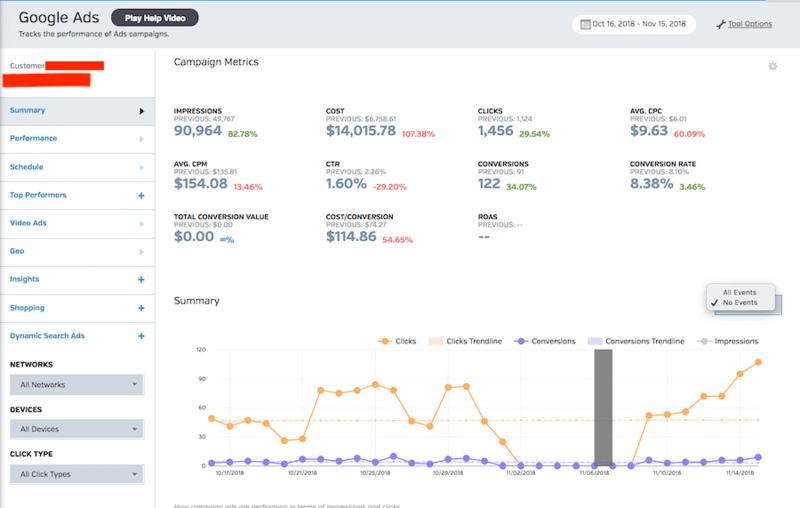 If you’re looking for an easy way to manage this particular process, Raven Tools has integrations with social media and PPC to allow management and reporting for your outbound marketing efforts. SEO keywords are typically broken down into two groups: short-tail and long-tail. 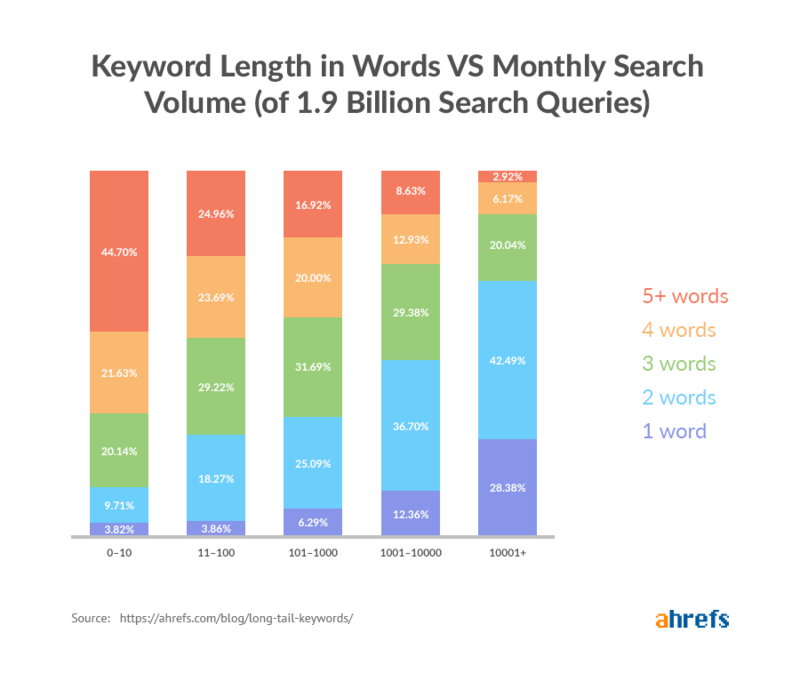 Both types of keywords are incredibly valid and valuable for all businesses to include in their strategies, but it’s the long-tail keywords that will help you see growth in your traffic. Short-tail keywords are, simply put, big, broad categories. These keywords often are nouns and usually are only one word or a short phrase. When looking at short-tail keywords, it’s difficult to tell exactly what types of goods and services are being searched. Does “painter” refer to someone who can paint the walls in your home, who can restore your car’s finish, or who can create a beautiful piece of artwork for your entryway? There’s no way of knowing because there aren’t any modifiers attached. Long-tail keywords add modifiers and descriptive words to narrow down the broad categories to help find just the right product or service to meet a customer’s needs. Those modifiers certainly clarify the searcher’s intent, helping match the search with the website best situated to meet the searcher’s needs. As you can see from this image, long-tails aren’t based on word count, as many queries are in the upper values while being 4+ words. Short-tail keywords are great, and often are the first keywords many searchers try when they open up a search engine window. The search volume on short-tail keywords is enormous because of their broad sweep. This also makes the competition to rank well and gain traffic from these keywords incredibly high. By adding modifying words and creating long-tail keywords (we’ve written an entire post dedicated to long tail keywords if you’re interested in mastering this specific part of this guide), you’re drilling down into the more targeted searches and weeding out all the businesses and websites that have nothing to do with that specific search. This decreases overall search volume but also significantly decreases competition for those keywords, making it more likely for you to make some headway in gaining traffic from them. Say you’re only pulling in an extra five visitors per month from all your new long-tail keywords, but your website has 100 great, high-dollar, high-converting long-tail keywords. That’s an extra 500 visitors and customers per month. While the individual amounts of traffic from long-tail keywords may be small, when you add them all up they can create big gains for your traffic numbers. Long-tail keywords also tend to be more profitable for many businesses, as the inclusion of all the modifying words means searchers typically are at later stages in the buyer’s journey. Someone searching for “engine repair” could be looking for a how-to guide, or a YouTube video, or someone to repair the engine on any number of makes and models of cars. They may be ready to buy, or they may just be performing some research. But someone looking for “engine repair for 1967 Chevelle” is much more likely to be ready to book an appointment for engine repair, bringing you higher conversion rates from that keyword. Finding long-tail keywords that will suit your business is the same process you use to find short-tail keywords. It includes gathering data, conducting research, and sorting and prioritizing your list. The process for choosing your long-tail keywords is going to begin with what you already know about your business and your customers. List out everything you can think of that your business offers, your customers need help with, and that makes you stand out from the other businesses in your industry. Some of these items may end up being long-tail keywords, and that’s great! It just saves you some time down the road if you begin coming up with long-tail keywords early in the process. However, much of your list will be populated by short-tail keywords: Short words or phrases that identify broad segments of your business. You’ll add to these short-tail keywords later on in the research process. Finding long-tail keyword ideas may be as simple as taking a peek at what your competitors are doing. This is especially helpful if your competitors have blogs, as blogs present a wide variety of opportunities to utilize long-tail keywords. If you have SEO research software such as Raven Tools, you can simply enter your competition’s URL into the search bar and pull up a complete report of what keywords they rank for, what pages users are directed to when they search for certain keywords, and how much traffic per month is brought in by a given keyword. Write down any keywords that apply to your business, as well as their corresponding search values. Unless your website and business are totally brand new, you already rank for some keywords. Finding these can help you beef up any that may be able to bring in more traffic. If, for example, you currently rank in position 25 for a long-tail keyword, and it’s actually bringing you a few visits each month. By identifying this keyword and working into your strategy ways to boost its presence on your website – creating more blog posts with it as the focus keyword, optimizing title tags and meta descriptions, or finding relevant images to add to your content and using the keyword in your image alt text – you can bump your position for that keyword to 5 in several months’ time. Even if that boost from the third page to the first page of Google only brings in five more customers a month, that’s five extra sales you wouldn’t have otherwise had if you hadn’t identified that opportunity. If the lifetime value of a customer is several thousand dollars, you’re way ahead of the game thanks to a few simple tweaks. Head back over to your favorite SEO research software and navigate to the keyword research section. Alternatively, log into your Google Ads account and go to the Keyword Planner Tool. Enter those short-tail keywords that are most central to your business and to solving the problems your customers face. The tool will populate a list of short- and long-tail keyword suggestions you may not have thought of or found otherwise in your research. Write down any that you think will be valuable for your business goals, along with data such as average search volume. Now that you’ve got a nice, long list of keyword suggestions, it’s time to figure out how you’re going to use them on your website. Your first priority should be the keywords that your website already ranks for. In many cases, some simple, fast adjustments to the information on your site can help you make headway in ranking these keywords higher and bringing in more traffic. These are called the “low-hanging fruit” keywords because you aren’t completely reinventing the wheel and trying to rank a brand-new keyword. Next preference should be the keywords that are most related to your goods and services, or that are closely related to the pain points your customers face. Any traffic these keywords bring in will be more closely aligned to your core offerings, so they’re more likely to produce higher conversion rates. At the bottom of the list should be those keywords that are only somewhat related to your business; their presence on your website could prove valuable in explaining a concept or relating to a customer, but they’re not at the heart of your offerings. Armed with your prioritized list of long-tail keywords, you can strategize how you’re going to incorporate all of them onto your website. As above, this is much easier for those low-hanging fruit keywords that already have a presence on your site but whose position can be improved. For the other keywords, think about ways you can utilize them on your site without cannibalizing the rankings of any other keywords that may be present. The long-tail keyword research process has likely left you with a large list of potential keywords to utilize, and many pieces of content to create and tweak. Don’t worry – You don’t have to do everything at once! The purpose of prioritizing the list was so you can start at the top with the keywords you already rank for, then moving through the keywords related to your core services, and into the more peripheral keywords. This allows you to work on this process over time without sacrificing some gains for your website. While we’re on the subject of your website’s content, one of the best ways to improve your traffic is to improve the content you offer to readers. Google values content that is helpful, relevant, and timely to readers, meaning it provides some sort of value to users. Whether it’s a how-to guide on choosing the right paint color for their home’s interior or an instruction manual on using your product, you can create valuable content for your users no matter what industry you’re in. When it comes to your website’s content, Google prioritizes higher rankings and increased traffic to those websites that demonstrate E-A-T: Expertise, Authoritativeness, and Trust (video starts exactly on E-A-T). Expertise: Show that you’re an expert in your field, something that is incredibly important if you’re in the medical, legal, or financial fields. Visitors come to your website looking to have their questions answered, and you must demonstrate that your advice won’t lead them astray. Authoritativeness: Along with your expertise goes your authority. This often means that you must prove your education, experience, or training in your chosen field. Trust: Your readers must trust the information your website is providing. They want to know that you’re giving them correct advice, and that your website isn’t going to harm their computers or steal their personal information. In February 2019, Google confirmed that E-A-T is an important part of its algorithm and is a ranking factor for websites. While creating great content that gets read and helps your website bring in more traffic isn’t an exact science, there are some elements that you can incorporate when writing to take your content to the next level. Some marketers and copywriters try to say there’s a perfect “right” length for a content piece. That is correct in theory, but not in practice, as the length an individual landing page or blog post needs to be for maximum effectiveness varies depending on industry and content purpose. When you begin the content creation process, do some research on other similar content in your industry. See the average number of words that make up other businesses’ posts and do your best to get as close to that threshold as possible. The web is an incredibly visual medium. Whether it’s images, videos, infographics, or funny memes, the more engaging, visual a piece of content is, the more shareable it is. Take your content creation work past just writing the words on the page; think of new, interesting ways you can utilize engaging elements to draw the reader in and keep them on the page for longer. The longer a user spends on an individual page, the more helpful and relevant Google deems the content, which then impacts rankings and traffic numbers. This may seem like common sense, but don’t put a piece of content up on the internet that’s poorly organized, riddled with grammatical errors, or that doesn’t make sense to the average person. Part of creating great content means making sure that content is technically well-written. Even a great idea, if poorly executed, isn’t going to be understood. If you don’t think your skills are up to the task, hire a content writer or editor to help you create SEO-friendly, well-written content that will resonate with your readers. Writing online is a whole different animal from writing in print. In print, you can write long, drawn-out paragraphs with few section breaks because readers easily can mark their place, set down the book, and pick up right where they left off. That doesn’t work on the internet. Not only is copy more difficult to read on computer screens than on the printed page, there’s more competing for your reader’s attention online than there is when they’re reading a book. Because of this, you want to make sure your content is as physically easy to read as possible. Break things up into one- and two-sentence paragraphs. Write simple sentences whenever possible. Use subheadings to break up sections of your article. When writing a longer piece, include an internal table of contents like the one at the beginning of this post. Use numbered and bulleted lists wherever possible. If you want to emphasize a word or phrase, use bold text, not capital letters or italics. Your industry may be full of technical jargon and buzzwords, but the average online reader isn’t going to understand those words. When you’re writing your content, be sure it passes the readability test. If you use technical words and jargon, explain them in plain English the first time you use them. If you struggle with making sure your content is accessible to a wider audience, employ the use of a readability app such as the Readability Analyzer. If you’re a Raven Tools user, then you can go to the content section of the tool. Keeping an eye on the difficulty of your writing is especially important if your audience includes non-native English speakers, children, or teens. Make sure you integrate to your WordPress, then add an article, and presto! While you may know a lot about your industry, no one can be the absolute authority on every possible topic. As a result, make sure your text is sprinkled with links to internal pages on your website where relevant, and links out to other sites that provided information, facts, or figures for your blog post. Not only is this good practice for building your authority on the topic, it’s also good for your SEO. A good rule of thumb is to add a handful of links, both internal and external, on every page. For longer pieces of content, add more links; for shorter, use fewer. Yes, the reason you may be writing that piece of content is to get noticed by the search engines for certain keywords. However, if you create content of any kind with the goal of keeping the search engines happy, your content will fall flat. As you write, write in a conversational manner, as if you’re talking to your reader. Don’t try to shoehorn your keyword into your content at every turn, as it will begin to sound robotic and spammy after a short period of time. This will cost you visitors, which will impact your bounce rates and traffic, causing your position in the SERPs to slip. Include your keyword in as natural a manner as possible. Many SEOs say to aim for a keyword density between 1 and 3 percent of your text’s total word count; this isn’t a steadfast goal. If your writing calls for fewer instances or more mentions than that, so be it. Just be careful not to go overboard. To help avoid the keyword overstuffing in your content, integrate Latent Semantic Indexing (LSI) keywords into your text. LSI keywords are similar enough to your original keyword to retain the meaning, but semantically different enough that you’re not repeating the same phrase over and over again. Interspersing some of these LSI keywords throughout your text helps you include the meaning of your main term more frequently without overloading your reader with the same phrase. A free tool to help you find these keywords is LSIGraph. Simply enter your focus keyword and the software gives you a list of ideas. For Raven Tools users, just go to Keyword Research Central and you’ll see the list of keywords with volume and competition score side by side. The most important part of writing well for the web was left for last. If you’re writing for the search engines or thinking about what your audience needs to hear about your product or service, your content will just become more digital noise. Instead, focus your content on what your reader needs – what pain points they have, what solutions they’re looking for, and what questions they may have – and your copy will be successful with the people who matter. You’ve created some great content, and to get it noticed it needs to be well-optimized to get the attention of the search engines. The keywords you use will differ from page to page, but the techniques will remain the same for both landing pages and blog posts. 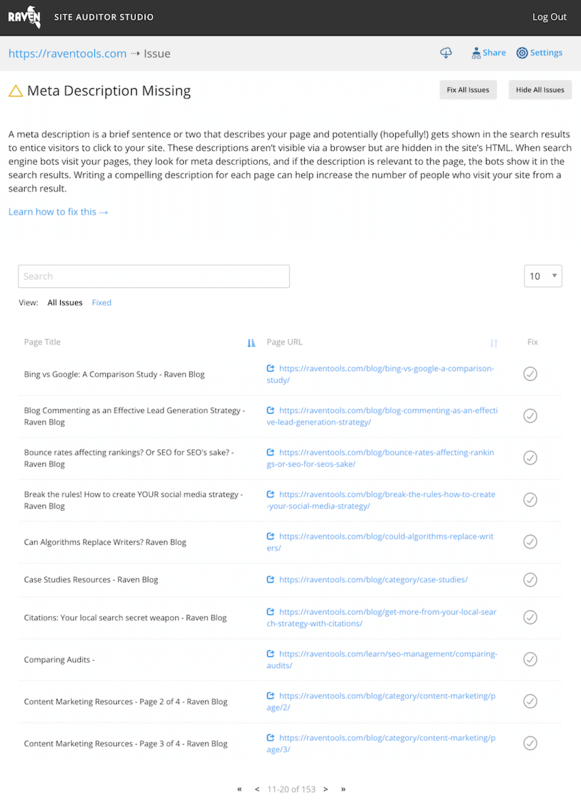 The title tags of your pages are the text that shows up in the SERPs. Build in your main keyword, any locations you want to target, and include your brand name if possible. Title tags are limited to 60 characters, including spaces, so make the most of the small character count you have. Put your main keyword as close to the beginning of your title tag as possible, as you want searchers to see the important information first. Meta descriptions are the small paragraphs that appear under the title tag in the SERPs. Like the title tag, be sure to include your focus keyword and any locations you want to target. You have 160 characters to work with, so make it as enticing as possible and add a call to action if you have space. Your page’s URL needs to be as short as possible but also include your focus keyword. Be sure that each page has a unique URL to prevent confusion over how your site is organized. Since you’ve organized your content so it’s broken up into sections for better readability, adding in H tags isn’t a major task. As close to the beginning of your page as possible, include an H1 tag with your focus keyword as close to the front of the tag as makes sense. Use H2 tags for your second most important sub-sections, and H3 tags for the next level of subheadings. Do your best to not go below H3 or H4 on a page. If you have to, rewrite and reorganize your content, or split a lengthy section off onto its own page. To keep users more engaged with your content, including relevant, interesting images wherever possible. When you do include an image, be sure you add your focus keyword to the image alt text. This is when a website audit comes in handy. You’ll be able to get a list of errors by urgency, followed by a to-do list to track your progress, and an HTML link to share with the team. As you can see, these are just some of the many things the auditor identifies for your website. Make sure to follow best practices or you’ll wind up getting a terrible technical SEO score which can affect your rankings and your conversions. 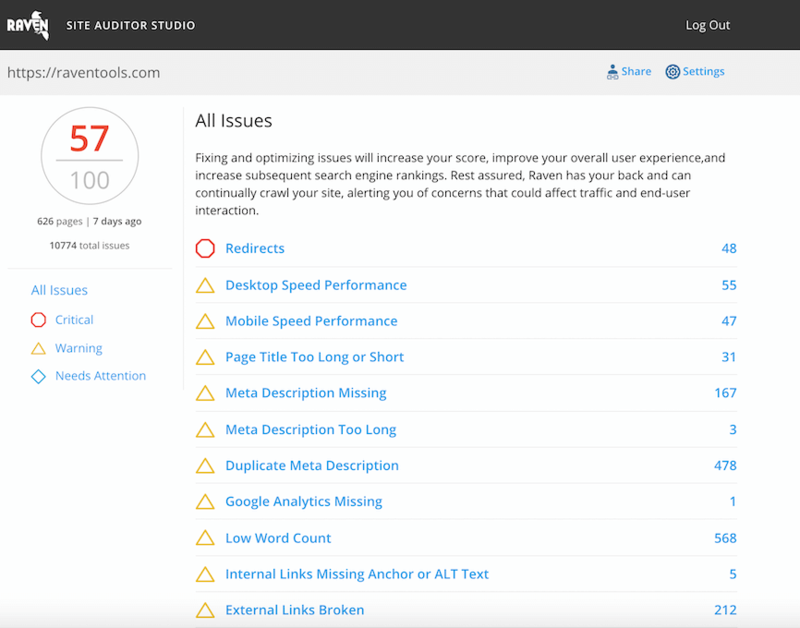 For those looking for some more advanced guides to this, we’ve written a guide that explains how to do a website audit that should help out with this step. Now that you’ve created some great content the people want to read and it’s well-optimized for search engines, it’s time to promote that content. Utilizing social media in your business is a careful balance between outwardly promoting your products and services and providing helpful information that doesn’t include a direct sales pitch. Not all social media platforms are going to be beneficial for all businesses. For the most part, Facebook and Twitter can be utilized in all industries if for nothing else than a means to share content you create on your website, such as blog posts. At the bare minimum, create profiles on these two platforms and optimize them with your correct name, contact information, and a high-quality profile photo. If you are in a business-to-business (B2B) industry such as software sales, LinkedIn is a good platform to utilize in reaching out to professional contacts. For visual industries such as coffee shops or retail stores, Instagram is a popular platform where photos and videos can be shared. Youth-oriented businesses such as clothing stores may want to consider starting a Snapchat account. Whatever platforms you choose, select carefully and don’t try to take on too many at once. Social media quickly can become overwhelming to manage, but it’s much easier if you only have posts on one or two platforms to manage. If you write a great new blog post or create an informational video, use your social media to promote it! Your followers are likely to be your first clicks and shares, and if the content is interesting and relevant enough to a wider audience, it may get picked up by people from outside your follower network. This means more eyeballs on your content and more traffic to your website. To make sharing your content easy on you, consider subscribing to social media posting software that automatically checks your website for new blog posts and creates drip social media campaigns that you don’t even have to touch. This is a great way to keep your content in front of your followers on a consistent basis, increasing the chances that more people will see it. Some brands see social media as a platform to promote their product or service 100 percent of the time. For larger name brands, that’s possible, but smaller businesses need to utilize social media to build relationships and authority before people will begin following links to their websites. For every one outwardly promotional post you create on social media, create three helpful, informational, relationship-building posts. This will show your audience that you’re not totally in the social media game just to sell things to them and instead you really want to interact with and help them. Remember: You’re on social media. That means you need to interact with your audience and not just post into a vacuum. If a follower leaves a comment on one of your posts, respond to the comment in a timely manner. Depending on your schedule and how active your social media community is, you may need to designate someone for this job. The same goes for any feedback on your goods or services you receive via your social media channel. Respond courteously and professionally, and invite anyone who has a complaint to reach out to you directly to discuss the issue. Being active on your social media profiles shows your followers that you care about the people who patronize your business, which helps boost your reputation and can then improve the traffic your website receives. Other websites can be very powerful in driving traffic to your website. This is called backlinking. Backlinks not only bring more traffic to your website, they can also improve your own website’s rankings. Everyone loves to see their name in print, even if that print is on someone else’s website. Think of ways you can create compilation content using influencers or prominent names in your industry. If your industry is one with a lot of blogs or thought leadership, you can create a post with quotes from their writing. Once it’s up and published, send an email to everyone you’ve included in your post mentioning that they are quoted in your piece. Chances are good that at least a percentage of these people will post about your piece, giving you backlinks to their social media sites or blogs, as well as traffic from the influencers’ followers. Guest blogging is a powerful way to build backlinks to your website. You create a post about something relating to your industry, but it’s posted on someone else’s website. In the biography area, your website is given a link. Alternatively, you host someone as a guest blogger on your website, giving that person a backlink in their biography and then that person includes a link to your website announcing their guest blog. Be aware that guest blogging standards have evolved greatly in recent years, so be careful not to do anything that would be considered spammy by Google to avoid penalties. While you may think of a press release as something that announces a newsworthy change – an award that was won, a new partner in a firm, or an exciting new product launch – every business can find a way to leverage press releases to help build backlinks. Rather than waiting for something newsworthy to happen in your own business to draft a press release, take a newsworthy event and find a way to insert your business into it. If you own a house cleaning and organizing business, create a press release around New Years to coincide with the resolutions many people make to get their homes and lives in order. Provide tips for getting started with home organization, add in quotes from your business’s owners, and include your contact information. Many news organizations need new sources for human interest stories, and receiving this type of press release could gain you an interview or get your press release printed in full, complete with a backlink to your website. Chances are good that your community has a wide array of fundraising events taking place on any given weekend. From spaghetti dinners to silent auctions, 5K races to bowling tournaments, there are a plethora of opportunities to do some good while getting your business’s name out there. If you find a cause that you want to support, reach out to the organizers and offer to sponsor something. For a spaghetti supper, you could supply the pasta or dinnerware at a relatively reasonable cost. A monetary donation can go to a 5K, which could put your logo on the commemorative T-shirts. By becoming an official event sponsor, your business name will be mentioned in event calendar listings and press releases about the event, with a link back to your website. This step is a bit easier than people make it out to be. 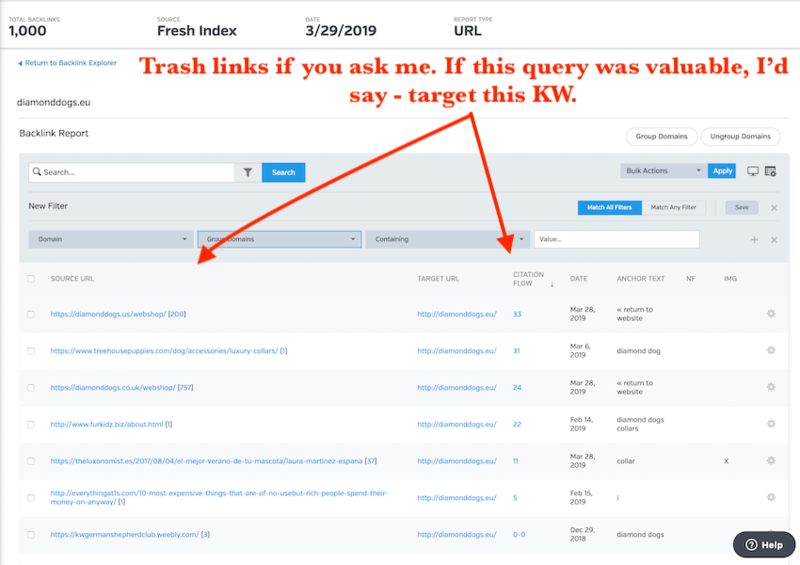 When I target a keyword, all I need to do, is to look at the backlinks of the people ranking for the keyword and then identify which links have value, and then categorize the links by their link types (is it a directory, a citation, a guest post, etc.). You can keep track of all of this inside of an excel sheet, or you can use the Raven Tools Link Manager after you’ve identified opportunities with Link Spy. Once you find a particular website you want to target, you’ll click the cell which interests you and then see the backlinks for this ranking page. 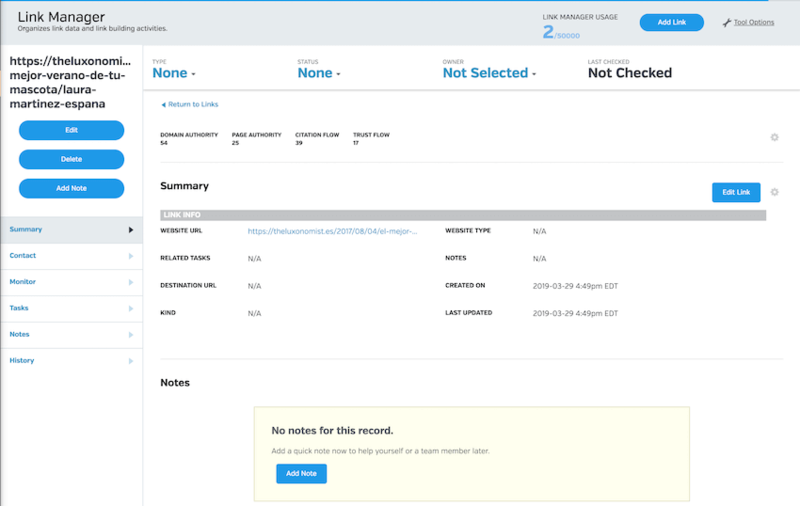 If anything sticks out, just click the “add to link manager” and you’llhave your own link building CRM set up for you or a team member. Only one more step to the process and you’ll be good to go. 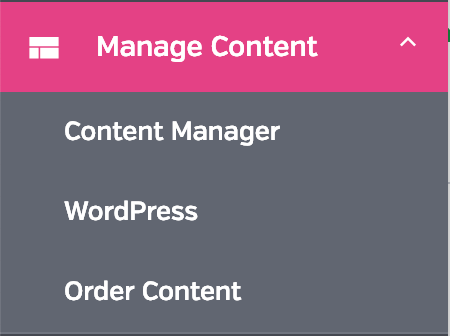  Link Manager lets you order all the links you’ve identified and then it allows you to create tasks based on the link. I should mention that we’ve written up a thorough guide on analyzing backlinks with Raven Tools. Cutting through the crowded digital space to find the people who are in most need of your product or service isn’t easy. Your website is no longer something that you can just put up and forget about for several years; it must be maintained constantly and evolve to meet the needs of a changing industry. Putting some significant time and effort into building your digital presence will drive more traffic to your website, gaining you the new customers you desire. Your business is worth the effort – Make building it a priority.